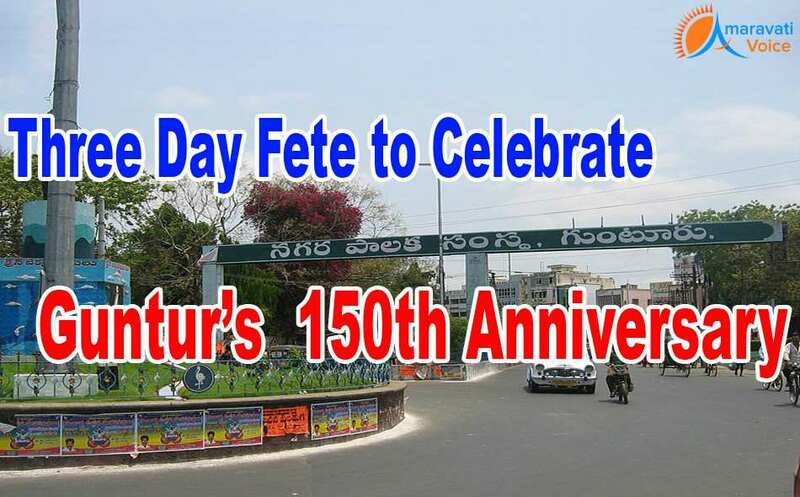 The Guntur Municipal Corporation has decided to conduct the district's 150th celebrations on February 17, 18 and 19 next year. Chief Minister N. Chandrababu Naidu will inaugurate the celebrations. Efforts are being made to invite President Pranab Mukherjee for the event. Union Minister M. Venkaiah Naidu and all AP ministers will attend the celebrations. A food festival of Guntur delicacies will be held on these three days near Swamy Theatre. Hyderabadi / Nizam foods on first, millet/pungent food of Rayalaseema on second day and Andhra-Guntur specials on the third day would be available for the public. GMC commissioner S. Nagalakshmi said on the occasion of the sesquicentennial celebrations, present GMC office would be dismantled and a multistoried complex will come up in its place. Staffs quarters would be constructed in the Brundavan Gardens area, she said. She said GMC is planning to construct flyovers and ROBs in the city to resolve traffic menace and to upgrade the city as Greater Guntur, on the lines of Greater Hyderabad. On all three days, culturalprogrammes like fusion dance, skits, plays and magic shows would be per formed from 6 pm to 10 pm. A3K run will be held in the morning on inaugural day from NTR circle to Police Parade Grounds and further food festival would be inaugurated. from Gunta Ground to Police Parade Grounds, foundation for GMC office complex, staff quarters and release of 150-year postal cover by AP and Telangana Governor E.S.L. Narasimhan and felicitation of ex-municipal commissioners of GMC will be held.